Ann Arbor meeting space available for mid-week retreats. Secluded retreat or meeting space midweek. 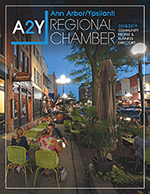 The Traction Training Center team is happy to provide a free hardcover copy of TRACTION by Gino Wickman to members of the Ann Arbor-Ypsilanti Regional Chamber (A2Y Chamber). We have everything from softeners, reverse osmosis drinking water systems to water coolers. We also have Salt Sale Saturdays..The best prices on Dura-Cube softener salt and Potassium Chloride. Soft water can make a huge difference in your health and save you money be extending the life of your appliances! Feel Taste & See The Difference Soft Water Can Make In Your life! !